This week on Knight Life…. 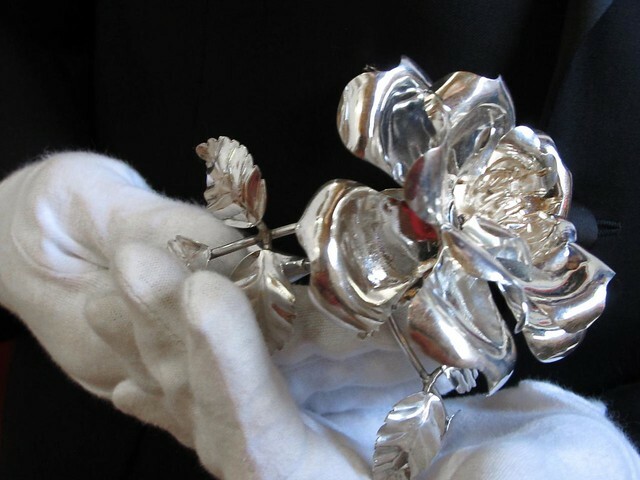 the Silver Rose comes to Iowa as we prepare to celebrate Independence Day. We we hear from a number of extraordinary Iowa Knights as they share their experience of the Knight Life. We begin with Pope John Paul II’s prayer for life from Evangelium Vitae which is part of the act of consecration contained in the Silver Rose prayer program as led by Fr Dan Greving. The Guadalupan Silver Rose has reached Iowa. This Knights of Columbus tradition was begun in 1960 when groups of Columbian Squires in Mexico, Canada and the United States decided to honor Our Lady of Guadalupe by carrying a rose across North America from Canada to the Basilica of Our Lady of Guadalupe in Monterrey, Mexico. In 2001 Supreme Knight Carl A. Anderson, at the 119th Supreme Council Meeting in Toronto, addressed the effort in culture of life terms, referring to the Our Lady of Guadalupe – One Life, One Rose Program. He urged that it be expanded to every North American jurisdiction. Every stop along the route of the Silver Rose Pilgrimage is an occasion for prayer and spiritual renewal centered on the rosary with scripture readings, a litany and act of consecration. I had the privilege to participate at Immaculate Conception parish in Sioux City this past week end and am grateful Fr Armand Bertrand involved the entire congregation in the act of consecration to the cause of life. Afterwards I met Phil Morrow in the parking lot of the Sergeant Bluff Fareway to transfer the Silver Rose and continue its journey to Monterrey by way of Onawa. I followed up with him after the prayer service on how it had gone for them. Last November we heard from our Supreme Knight Carl Anderson on the need for Knights to refocus our activities on Building up the Domestic Church – the spirituality and health of catholic families. This Silver Rose program is one way we can touch one life at a time and in doing so build up a culture of life in our own families. Many thanks go out to Phil Morrow, Marty Pasker and other Knights who spend the effort to bring these opportunities to their parishes. I’m sure Fr Mark Stoll will be attuned to watch for the next opportunity of the Silver Rose or other spiritually enriching programs offered by the Knights. This is Mike Gaspers for the Knight Life. We have been following the running the Silver Rose as it moves down the western side of Iowa passing through Sioux City and Onawa on its way to Council Bluffs. I encourage you to learn more about the Silver Rose program and its call to consecration for the cause for life by visiting www.kofc.org and searching on Silver Rose. You can also listen again to this week’s interview and others previously aired as easy to play podcasts at http://iowaknightlife.org/. You can share the podcast link on Facebook or email it to your friends. All of you can be inspired by the story of Iowa Knights as you listen online. This week we continue hearing from Knights who are asked to answer “why are you a Knight” by Orland Gil. Our first interview is from the Grand Knight of Atlantic – Phil Hascall. Phil’s connection to the corporal works of mercy seems most appropriate in this year of Mercy and so very much fits the Knights. Orlando turns next to a brother Jesus Toquinto Councils 14131 at St Mary’s in Davenport. It sounds like this council is really building up the domestic church while strengthening their parish. I love that Jesus saw something in the Knights that he wanted to be part of and took the initiative to ask. That doesn’t always happen. An Iowa Knight who has been featured in the Columbian Magazine our Knights of Columbus monthly publication is Pablo Martinez. Pablo was recognized last year as one of the order’s top recruiters. Orlando talks with Pablo about his life in the Knights. I think Orlando does a nice job to help Pablo convey his ideas on the importance of family, the Knights and his project to help children effected by cancer. 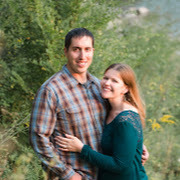 This is Mike Gaspers and you are listening to the Knight Life show where each week we strive to tell the story of the Iowa Knights from an insider’s point of view. This week we’ve shared a program strengthening our commitment to the cause of life as well as hearing from not so ordinary Knights on the impact membership has in their lives. Steve Hesprich offers us a Knights to Christ reflection on the true nature of patriotism going into the upcoming 4th of July weekend. Self-evident truths it seems to me are rarely recognized as such; so often there are conflicting truths or none at all as we pick our own truth. As Knights and faithful citizens, let us strive to keep before us that we are one nation under God and in His light truth will be revealed – not created, not chosen – but revealed. …. Giving back requires effort; a Knight offers words of encouragement and a reminder that we do not stand alone; in fact you have in the Knights another Family — a Band of Brothers –Equally Yoked–who reach out to help others in need. To be able to give back is an important cultural value many are seeking. Knights know and practice its meaning in our charitable service activities. We’ve been hearing from Harlan Knights about a partnering project with a parish in Nicaragua that surely meets the definition of giving back in its best sense. Orlando Gil steps up for the Knight Life and talks to Kevin Hlavac after returning from his January trip to Nicaragua. See Shelby County Nicaragua Partners for more information on how to get involved to donate to the solar power project. I hope others are inspired to partner with our brothers and sisters in need – not to anonymously give money but to walk with them, to see Christ in their eyes and together help each of us to be interdependent as members of one family. Rob Ryan is a devout Knight whose passion for being Catholic I’ve admired for a long time. Jonathon Eltrevoog talked with Rob about why he is a Knight. Rob reminds me of Winston Churchill – never ever Quit. Great men never do. Knights should not either. We are made for greatness — in serving others. Chris Determan advises as District Deputy immediately east of Des Moines. Soft spoken but always willing to speak up. I caught him one recent February day and he shared his story of journey back to the Catholic Church with me; and the crucial part the Knights have played, are playing in that story. I have a whole new appreciation for Chris; his courageous journey to be faithful and that image of being equally yoked – bound together in unity – as Brothers. Another Knight – younger than Chris – shares the same sentiments about the Knights as a safe place to share our faith and our stories. I met Walter Schaben at Dunlap immediately after his Knighthood degree. We are a band of Brothers with all that metaphor can mean. We do provide that safe place where men can encourage one another, let down their guard and explore authentic Catholic manliness in today’s world. Steve Hesprich returns with a delightful reflection from Knights to Christ. I really enjoy his turn of phrase here about being caught in the moment. May each of us always be willing to see the face of Christ in others and to stop in our hectic days and business of our lives to see that crucial moment for what it really is. You can read my own answer to this question in coming weeks on the Harlan Knights blog. Just search for Harlan Knights Blog and you will find it. Mercy Me — Why am I a Knight …each of us has various reasons. Lent is a great time to review the reasons to be a Knight especially in this year of mercy. Knights of Charity are also Knights of corporal and spiritual works of mercy as we hear over and over right here. As we begin Lent in this Year of Mercy we join in prayer with Fr Bill Rousch of Burlington. Knights all over this state are preparing Fish Fries – I mean its Lent right? Knights may be synonymous with great Lenten fish fries but even more so Knights are connected to corporal and spiritual works of mercy as much as Lent is connected to fish. Even more than fried fish these works of mercy are the hallmarks of true Knighthood. Find more on the corporal and spiritual works of mercy from the USCCB. We’ve heard a lot from the men of St Augustin’s this year and we return again to one of their senior Knights Don Hauser. Don entertains me with stories of his Knights activities and the aid given to those in need. There are many who need help and Don is emblematic of so many Knights who step up to offer assistance. Their coats for kids program has been a resounding success. Why are you a Knight? This is a question we frequently ask Knights we meet. I was at an exemplification in Manson Iowa several weeks ago and had a chance to get Loren Burbach’s answer to this Knightly question. Like so many Knights Loren is connected most to the fraternity he has developed with members of his own council – and continues to build it up as they work together meeting the needs of their parish. Last summer I began hearing about a Knight from Harlan who was inspiring others to get more involved. I wanted to meet this Orlando Gil and despite several attempts was not able until we ran into each other at the fourth degree exemplification in Harlan this January. Orlando and I spoke just after he completed the degree work about his journey with the Knights. Why are you a Knight — Orlando challenges all of us to not only answer this question but to share it with others – to inform, inspire and yes to invite others to join the Knights. You can read my own answer to this question in coming weeks on the Harlan Knights blog.